Until now, developing a template to provide worthwhile cybersecurity procedures is somewhat of a "missing link" within the cybersecurity documentation industry. The good news is that ComplianceForge solved this issue with the Cybersecurity Standardized Operating Procedures (CSOP) product. We are the only provider to have an affordable and comprehensive procedures template! Our CSOP can save a business several hundred hours of work in developing control activities / procedure statements, so the CSOP is worth checking out! 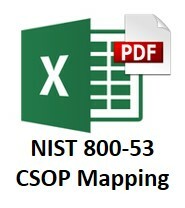 We currently offer several versions of the CSOP. There is a Digital Security Program (DSP) version that is tailored for the DSP and the Secure Controls Framework. 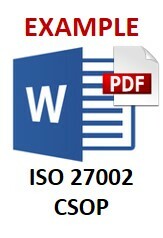 There are three Written Information Security Program (WISP) versions: ISO 27002, NIST 800-53 and NIST Cybersecurity Framework. Identifying the right one is pretty straightforward, since if you purchase the DSP, you will want the DSP version. If you purchase a WISP, you just order the version of the CSOP that corresponds to the version of the WISP you purchased. The main differences are around content, where we tailor the content to meet the framework's coverage. 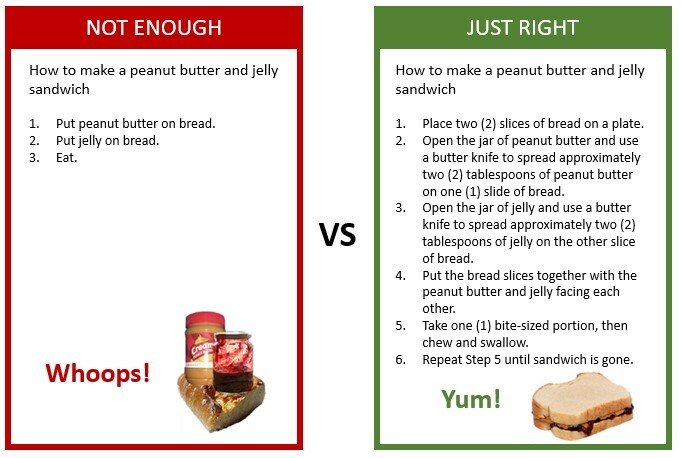 If that is confusing, please give us a call and we can help explain the differences. Have a need for comprehensive cybersecurity procedures to address their compliance needs. Need to be able to edit the document to their specific technology, staffing and other considerations. 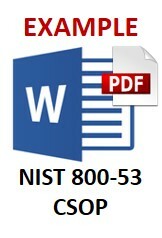 Have documentation that is directly linked to NIST 800-53, NIST 800-171, ISO 27002, HIPAA and other frameworks. Need an affordable and timely solution to address not having procedures. Don't take our word for it - take a look at the example below to see for yourself the level of professionalism and detail that went into it. For your internal staff to generate comparable documentation, it would take them an estimated 300 internal staff work hours, which equates to a cost of approximately $19,300 in staff-related expenses. This is about 3-6 months of development time where your staff would be diverted from other work. If you hire a consultant to generate this documentation, it would take them an estimated 200 consultant work hours, which equates to a cost of approximately $56,800. This is about 2-3 months of development time for a contractor to provide you with the deliverable. The WISP CSOP is approximately 5% of the cost for a consultant or 14% of the cost of your internal staff to generate equivalent documentation. We process most orders the same business day so you can potentially start working with the WISP CSOP the same day you place your order. The process of writing cybersecurity documentation can take an internal team many months and it involves pulling your most senior and experienced cybersecurity experts away from operational duties to assist in the process, which is generally not the most efficient use of their time. In addition to the immense cost of hiring a cybersecurity consultant at $300/hr+ to write this documentation for you, the time to schedule a consultant, provide guidance and get the deliverable product can take months. Even when you bring in a consultant, this also requires involvement from your internal team for quality control and answering questions, so the impact is not limited to just the consultant's time being consumed. 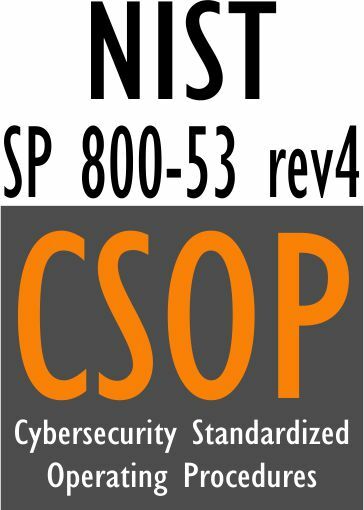 One very special aspect of the WISP and DSP versions of the CSOP is that it leverages the NIST NICE Cybersecurity Workforce Framework. 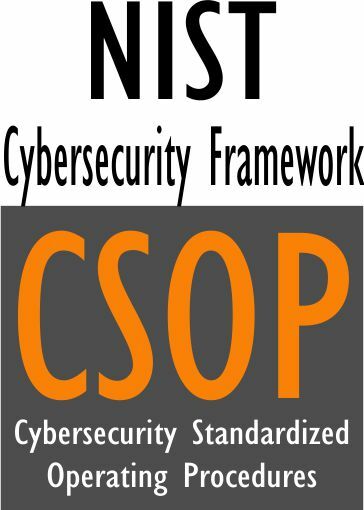 NIST released the NICE framework in 2017 with purpose of streamlining cybersecurity roles and responsibilities. We adopted this in the CSOP framework since work roles have a direct impact procedures. By assigning work roles, the CSOP helps direct the work of employees and contractors to minimize assumptions about who is responsible for certain cybersecurity and privacy tasks. 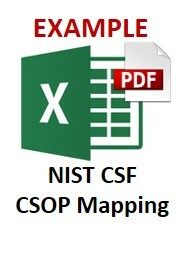 The CSOP uses the work roles identified in the NIST NICE Cybersecurity Workforce Framework to help make assigning the tasks associated with procedures/control activities more efficient and manageable. Keep in mind these are merely recommendations and are fully editable for every organization – this is just a helpful point in the right direction! 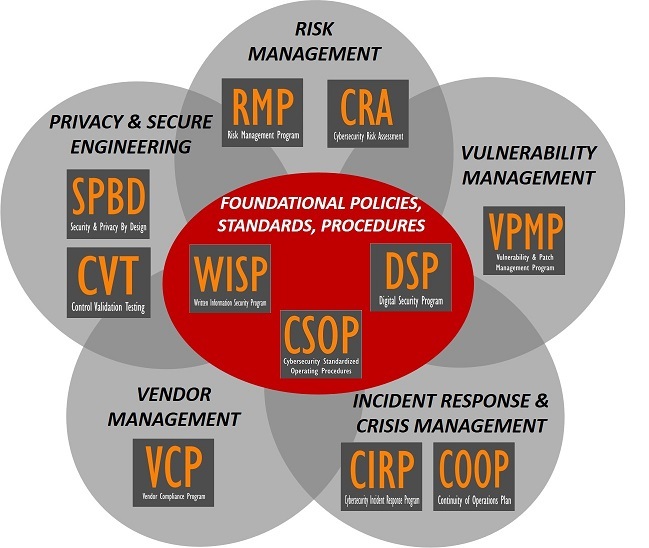 The CSOP can serve as a foundational element in your organization's cybersecurity program. It can stand alone or be paired with other specialized products we offer. At the heart of it, the CSOP provides an organization with clear cybersecurity procedures that can scale to meet the needs and complexity of any team. The procedures are mapped to leading frameworks, so it is straightforward to have procedures that directly link to requirements from NIST 800-171, ISO 27002, NIST 800-53 and many other common cybersecurity and privacy-related statutory, regulatory and contractual frameworks! Help your company be audit ready with the appropriate level of due diligence evidence that allows you to demonstrate your organization meets its obligations. 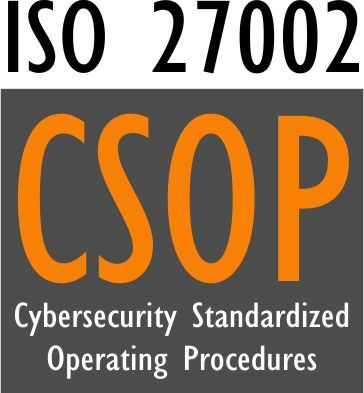 What Is The Cybersecurity Standardized Operating Procedures (CSOP)? The CSOP addresses the “how?” questions in an audit, since procedures provide the means for how your organization's policies and standards are actually implemented. The CSOP provides the underlying cybersecurity procedures that must be documented, as many stipulated by statutory, regulatory and contractual requirements. The procedure statements in the CSOP can be cut & pasted into other tools (e.g., wiki page) or left in a single document. There is no wrong answer for how procedures are maintained, since every organization is unique in the tools used and the location of users. What Problem Does The CSOP Solve? Lack of In House Security Experience - Writing cybersecurity procedures is a skill that most cybersecurity professionals simply are not proficient at and avoid the task at all cost. Tasking your security analysts and engineers to write comprehensive procedure documentation means you are actively taking them away from protecting and defending your network, which is not a wise use of their time. The CSOP is an efficient method to obtain comprehensive security procedures for your organization! Compliance Requirements - Nearly every organization, regardless of industry, is required to have formally-documented security procedures. Requirements range from PCI DSS to HIPAA to NIST 800-171. The DSP is designed with compliance in mind, since it focuses on leading security frameworks to address reasonably-expected security requirements. Audit Failures - Security documentation does not age gracefully like a fine wine. Outdated documentation leads to gaps that expose organizations to audit failures and system compromises. 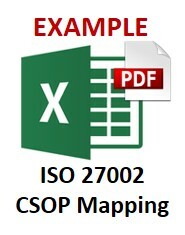 The CSOP's procedures provide mapping to leading security frameworks to show you exactly what is required to both stay secure and compliant. Vendor Requirements - It is very common for clients and partners to request evidence of a security program and this includes policies, standards and procedures. How Does The CSOP Solve It? Clear Documentation - The CSOP provides a comprehensive template for your procedures to help prove that your security program exists. This equates to a time saving of hundreds of hours and tens of thousands of dollars in staff and consultant expenses! Time Savings - The CSOP can provide your organization with a templated solution that requires minimal resources to fine tune for your organization's specific procedural needs. Alignment With Leading Practices - The CSOP is written to support over two dozen leading frameworks! We've Done The Heavy Lifting For You! Take a look at the example to see for yourself. We even provide a matrix to help identify the likely stakeholders for these procedures. 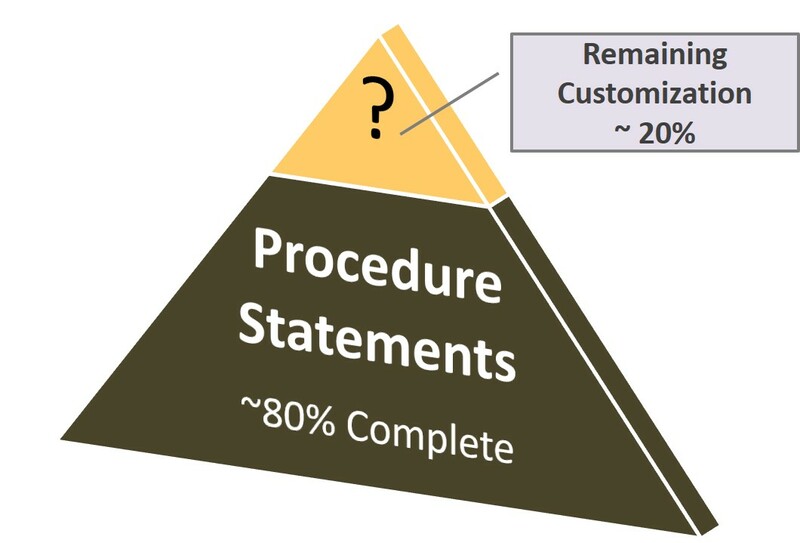 Your customization will be to help "fill in the blanks" with specific process owners, process operators, where additional documentation can be found, applicable service obligations (e.g., SLAs), and what technology/tools your team has available. We've done the heavy lifting and you just need to fill in the blanks. This is name of the individual or team accountable for the procedure being performed. Example: Chief Information Security Officer (CISO) / Cybersecurity Director. This is the name of the individual or team responsible to perform the actual task. Example: SOC Analyst / Risk Analyst / Network Admin. This is the annual, semi-annual, quarterly, monthly, bi-weekly, weekly, daily, continuous or as needed cadence for how often the procedure needs to be performed. Example: Quarterly vulnerability scans / Monthly software patches / Annual risk assessments. Scope covers both internal processes and external ones. This is where additional documentation is stored or can be found. You might want to reference a Wiki, SharePoint site, or other documentation repository. This addresses targeted timelines for the process to be completed (e.g., Service Level Agreements). This addresses the applications/systems/services that are available to perform the procedure. Tripwire Enterprise for File Integrity Monitoring (FIM).